This week is Irvine Restaurant Week in the city of Irvine located in Orange County, California and I was excited to be invited into Andrei’s’ Conscious Cuisine and Cocktails which is one of more than 40 restaurants participating in this awesome prix fixe lunch and dinner event! Andrei’s only uses fresh and local ingredients. Locations from where ingredients are acquired can be found on the menu as well as gluten free vegan and vegetarian items! Every year many different cities and counties have restaurant weeks and I love to be a part of them, so when I was invited to participate, I of course kindly obliged! 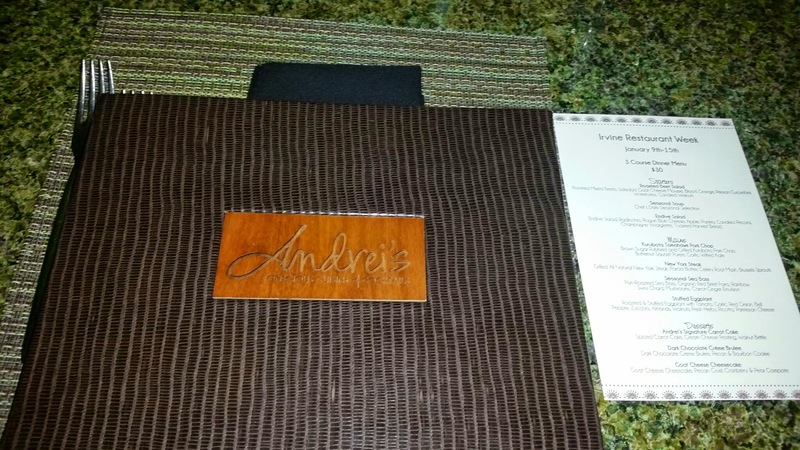 I had never been to Andre’s Restaurant before and they were the restaurant I personally selected out of the many choices because the menu looked delicious! 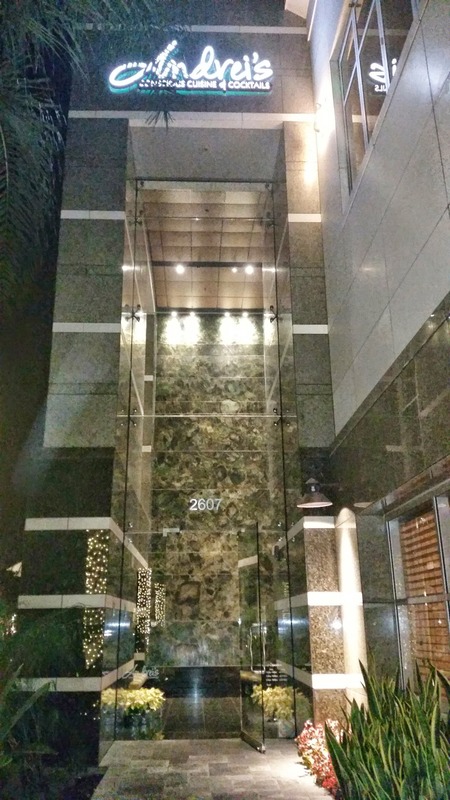 I soon found out it was also a restaurant my husband frequented with his coworkers, as it is in the business area of Irvine in the mecca of businesses and hotels. 🙂 He spoke quite highly of Andrei’s when I mentioned to him we would be dining there on Friday night. 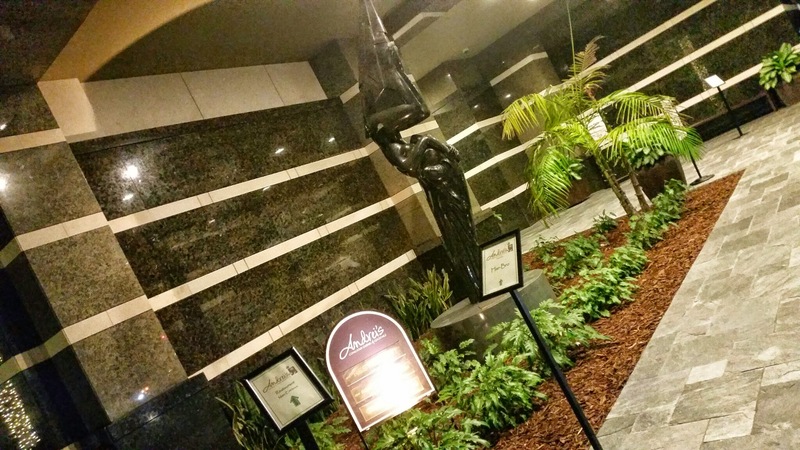 I dined at Andrei’s on Friday night, which was the first night of Irvine Restaurant Week. Irvine Restaurant week will be having prix fixe lunch and dinner menus through this Thursday, the 15th, so you should definitely check out the amazing at a variety of places for lunch and dinner. 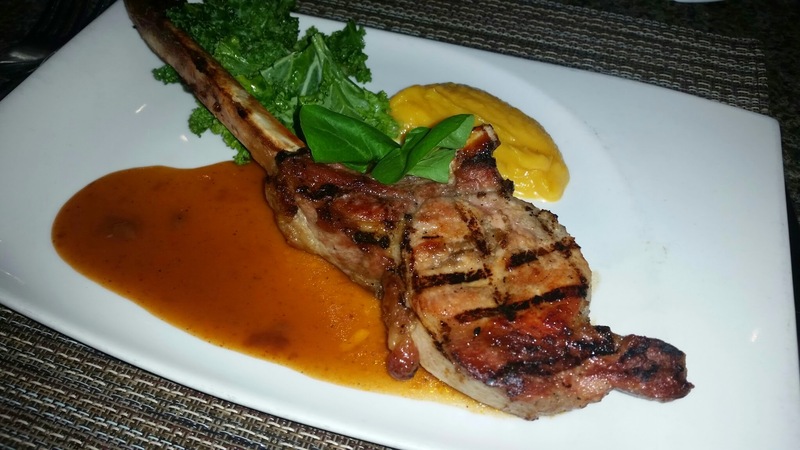 For full list, see here –> Irvine Restaurant week locations. I personally recommend Andrei’s and let me tell you why! For every good meal we enjoy; the cocktails, beer and wine are an important part of our meal, so I was quite excited when bar manager, Alan Ngo visited our table and shared with us about their specialty cocktails on the menu that were designed by him! There were such fascinating cocktail options and so it was hard to select one to start our meal. 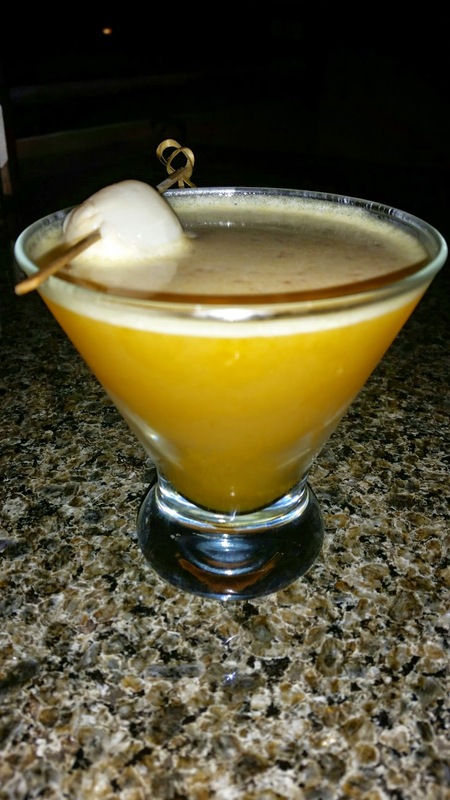 I decided to go with the “Geisha Drop” which was a Lychee infused vodka with passion fruit puree! 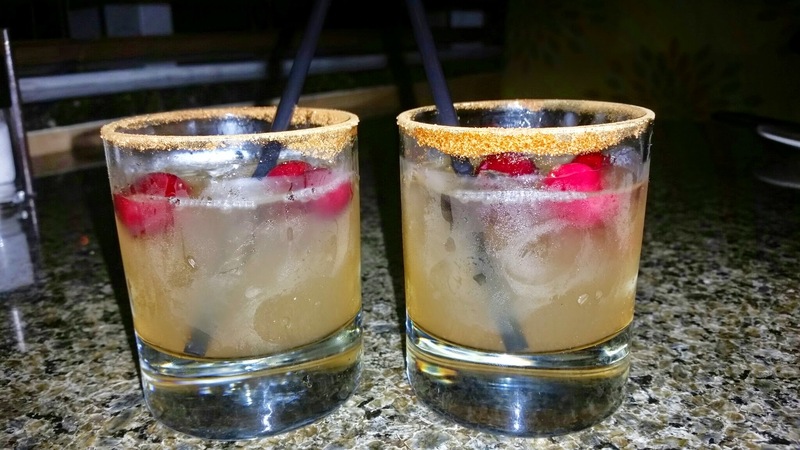 All vodkas served at Andre’s are infused with real ingredients and sit on their bar for about a week to blend the flavors perfectly and I loved my cocktail! My husband got the “Hemingway” which was a concoction of rum, beet-cognac reduction, Vanile de Madagascar and lime. He also very much enjoyed his drink and we were ready to order our first course! 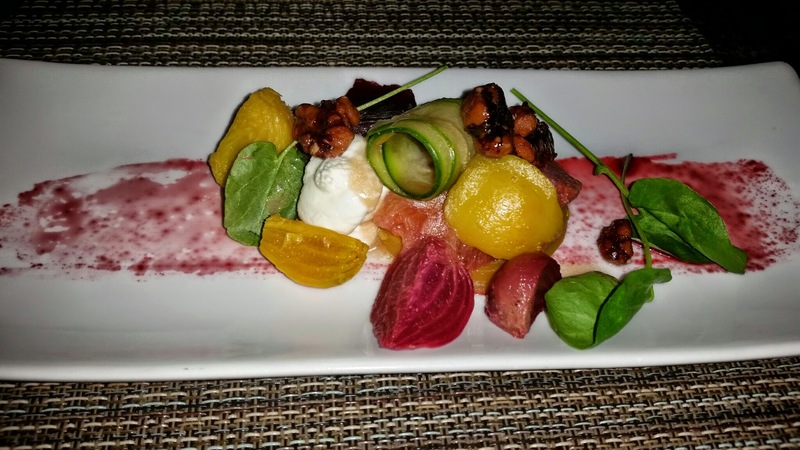 For our starters, I selected the roasted beet salad with roasted mixed beets, goat cheese mousse, blood orange, Persian cucumbers, watercress, and candied walnuts! My husband ordered the seasonal soup which was a vegetable soup with Chilean sea bass that had a tomato base. We both enjoyed our starters as well as our delicious basket of bread. I personally loved how the beet salad had a variety of colorful beets and variety of veggies was a sight to see. The flavors blended perfectly and I would definitely order this salad again! In between the starters and entrées, Alan brought us the special sangria that they make from scratch at the bar. I am not allowed to give away the secret ingredients, but let me say if you are a sangria fan, the one they have at Andre’s is a must have! The blend of spices and sweetness was point on and I even told him he should bottle it to sell during the holidays. It almost tasted to me like a mulled cider! It was to die for! Prior to our entrees arrival, we both decided to order a glass of wine. I opted for a wine tasting trio which consisted of an Acrobat Pinot Noir, an Alexander Valley Merlot, and a Murphy Goode Cabernet Sauvignon. My husband got a glass of the Murphy Goode Cabernet Sauvignon as well. 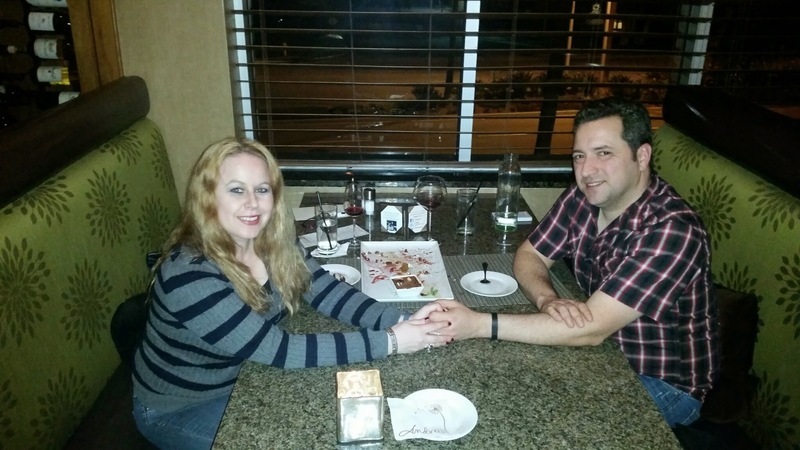 We were both happy with our selections and our wines went quite nicely with our dinner. I love to have an opportunity to get wine flights so I can try a variety of different wines and the wine pairing at Andre’s is always changing. 🙂 My personal favorite out of the 3 wines I had was the Alexander Valley, Merlot. It was rich in flavor and full bodied for a merlot and very easy to drink. buds sing…I am not kidding…it was so good; I could sit on my couch and eat a pint of it instead of ice cream! My dish was the New York Steak which was cooked to perfection as a medium rare as I ordered. 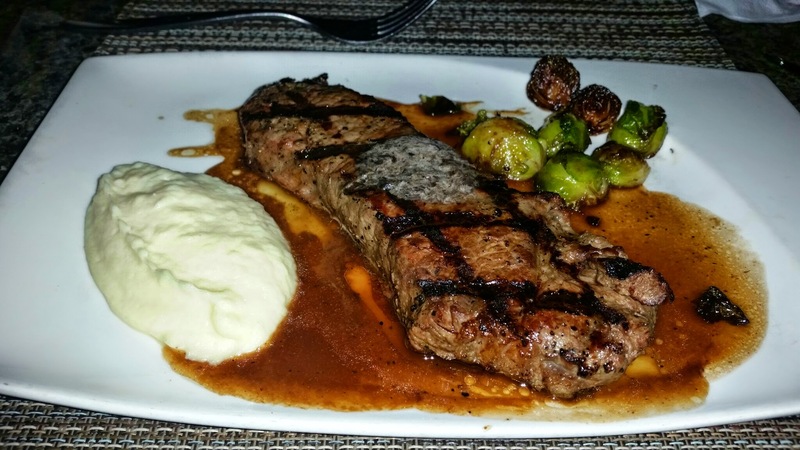 My steak was served with porcini butter, celery root mash, and Brussels sprouts. We were both happy with our entrees and although we were getting quite full, I always have room for dessert. brulee with a pecan and bourbon cookie. We had never had a chocolate crème brulee, so we were excited to try this one. The last dessert, which literally stole the show for both of us was the goat cheese cheesecake made with goat cheese, pecan crust, cranberry and pear compote. We were both ranting and raving about this dessert! It was absolutely amazing! The goat cheese was perfect and not overpowering at all. 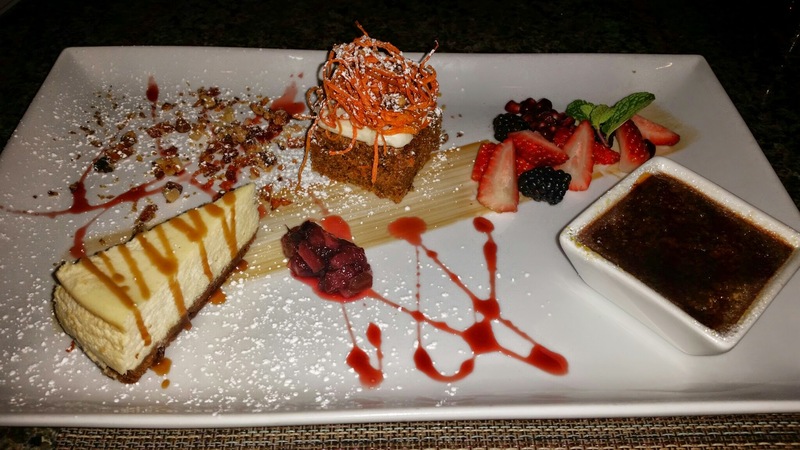 I loved the goat cheese cheesecake and I look forward to ordering this dessert again when I visit Andrei’s Conscious Cuisine & Cocktails! 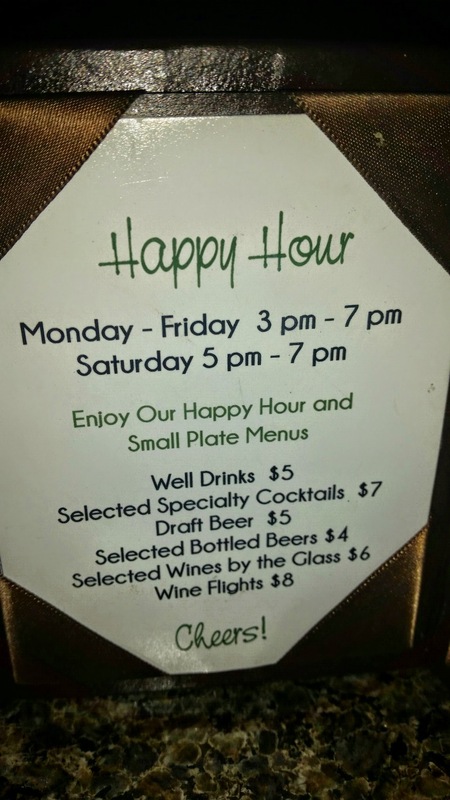 Please also make sure to take advantage of Andrei’s awesome happy hour as it goes 6 days a week! I was so excited to see that Saturdays are included where you can get both food and drink specials! There is also free corkage on wine on Monday and Tuesday nights! I love free corkage. See my article about free corkage here –> FREE CORKAGE RESTAURANTS. 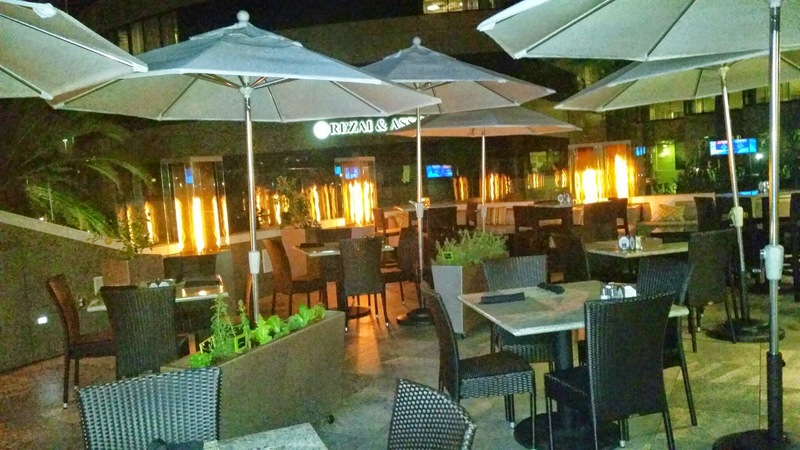 Make sure to take advantage of Irvine Restaurant Week while it is going on this week! There are so many great places to go! I recommend Andrei’s of course because it is where I visited and I can vouch for their awesomeness! Great service & food! I look forward to visiting them again soon! This looks like a good place. What are the prices like? Looks like a great place. You sure do have a wonderful job! This food and drink was all so very amazing. I did love how the vodka was all made in house with fresh fruit marinating for weeks. Wow. 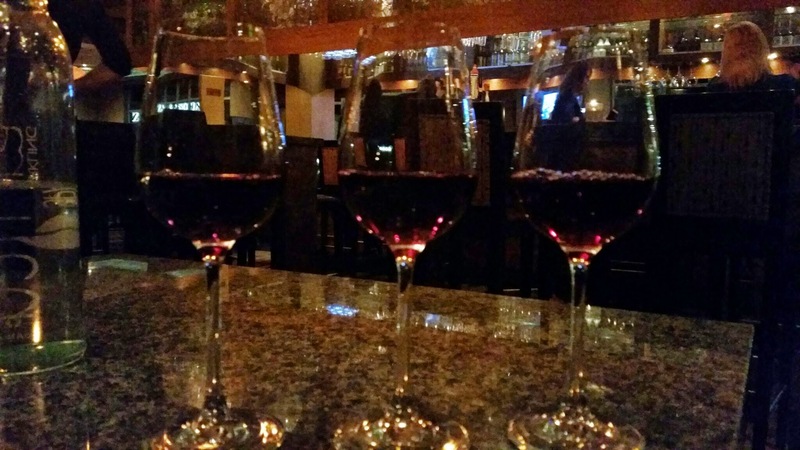 The ambiance of the Red Wine Flight is so beautiful. I wish I could visit this kind of restaurant here. I loved their red wine flight! This truly was an amazing event!